There’d be no more deserving Sydney Cup winner than Who Shot Thebarman. The evergreen nine-year-old will tackle his fifth $2m Schweppes Sydney Cup (3200m) and after an eye-catching run in the Tancred Stakes, he’s certainly better than a fluker’s hope to go one better than last year when second to Polarisation. “He is such a great horse. He comes up twice a year, every year. 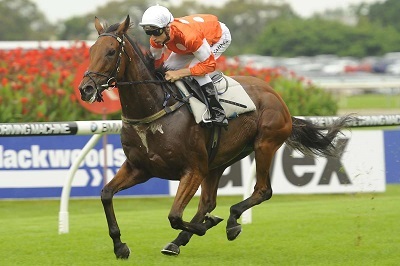 We aim him towards the Melbourne Cup in the spring and towards the Sydney Cup in the autumn,” marvelled Chris Waller. “We realise in the first few runs in his preparation he is not competitive but he needs those runs to properly condition him for the races like the Tancred Stakes and Sydney Cup. Age catches up to all of us eventually but Who Shot Thebarman confirmed he was right on track for another Sydney Cup tilt in the Tancred Stakes with Punters’ Intel revealing he ran the fastest last 200m in the race at 11.95s, and was the only runner to break 12s home. “He drew a bit awkward and was a pair or two further back than we would have liked but if he had drawn softer he’d have gone close to winning it,” Waller said. “He is not as effective now as he was two years ago but he stays two miles and he’ll keep the others honest. Patrick Erin was raised at the same 660 acre farm in New Zealand as Who Shot Thebarman and will also line up in the Sydney Cup, with Waller suggesting he’s the readymade replacement once the veteran’s racing days are over. That North Taieri farm is White Robe Lodge founded by legendary trainer and breeder Brian Anderton, who in 2012 was inducted into the NZ Hall of Fame. “Patrick Erin is the new Barman. He was born at the same farm at the bottom of the South Island. It’s a tough area and a lot of the Australian horse would go over there and wouldn’t cope,” said Waller. Libran is Waller’s other runner in the field and although he tackles the two miles only third up having missed his planned lead up run in the Tancred Stakes, the work has been poured into the seven-year-old to make sure he isn’t found out at the end of two miles. “He missed the run with a bad blood count which was disappointing. That’s made things awkward but he has had two solid gallops plus a trial to make sure we have made up for missing the run,” he said.